What if SEO Metrics Could Win the Premier League? I think it’s safe to say we’ve seen the true power of integration here in Wolfgang HQ, and I don’t mean that time we all went to see that movie where The Rock and a big gorilla teamed up to fight and defeat a pack of giant monsters... No, this is a digital marketing story. Our recent campaign with Tesco Ireland won integrated search awards everywhere from Europe to the US. 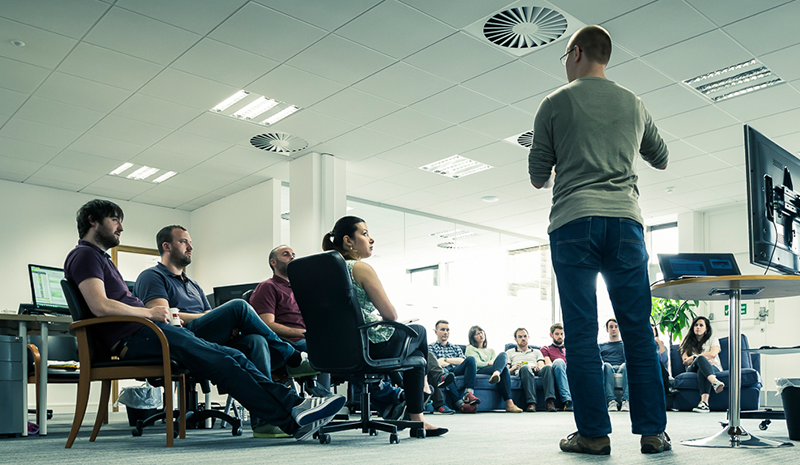 The great thing about this (other than the opportunity to visit those nice places and go on a bit of a Rampage World Tour of our own) is that one of the first things our team thinks about now when looking at client campaigns is finding a way to integrate as many of our marketing channels as is practical. We killed it with integrating paid search and social but what about organic search and social? 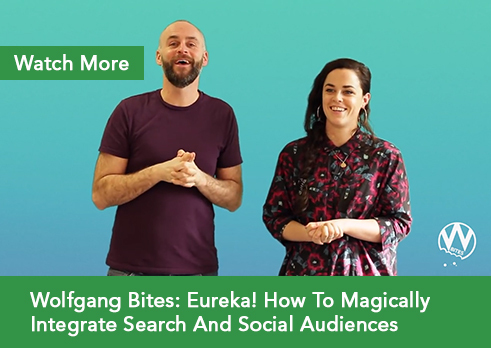 We wanted to give that a go and this is the tale of how we successfully merged SEO and Paid Social for Littlewoods Ireland to create a powerful and terrifying new breed of super hybrid which we christened SEOcial - I assure you, the campaign itself was far more creative than the name merge would suggest! As the self-proclaimed digital marketing (mad) scientists, we’re massive fans of stretching every last bit of data we have to the maximum. One largely untapped resource of data for many brands, rather incredibly, is Google Search Console (GSC). The reason this is remarkable is quite simple; despite there being a free Kaiju-sized dump of useful data in GSC, a surprisingly large proportion of companies don’t have GSC accounts set up. And not just little Godzookie-sized startups either, we’re talking big Godzilla-scale behemoths - the mind, she boggles! We were looking at how we could get Paid Social and SEO to help each other out for Littlewoods Ireland. Both channels had been doing well on their own, but it was time to start doing some experiments, so we started by looking into Google Search Console to see what we could find. Ready Player One? Go find some insights! After trawling through the search term data from Google Search Console to find (non-branded) traffic-driving search terms, we found that “confirmation dresses” as a search term was driving a Gargantuan number of clicks to the site. This term had an average organic ranking position of 1 and a well above average click-through rate (CTR), so all seemed well from an SEO perspective at first glance. After jumping over to Google Analytics to get a bit more detail, we found a chink in the landing page’s seemingly flawless golden armoured hide. Despite the landing page getting a lot of organic traffic, only 0.7% of those landing on the page were converting there and then on the website. This is way below the site’s average rate of conversion, despite it not being any different to the other landing pages from a structural point of view. So what was wrong with this particular page? Did it smell or something? One clue as to this low conversion rate was that an unusually high volume (41%) of those who visited the page were first-time visitors to the site. Clearly, these were people who were on the very early steps of that yellow brick-road journey to purchase, the top of the conversion funnel if you will. Now it was time to work out how we could keep them in the purchase funnel until they were ready to convert into fully-fledged customers. The benefit of an integrated approach is having extra weapons in your arsenal. 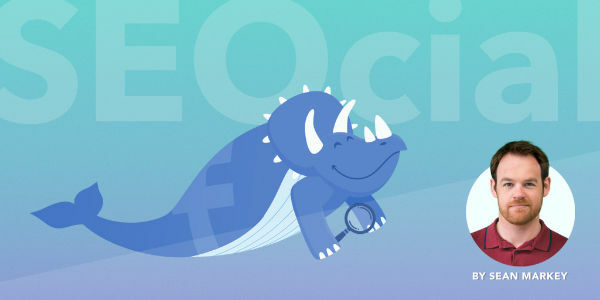 Using SEO, we could identify the problem, but the solution would come from striking a deal with the devil; it was time to wake the dragon and give the Paid Social team a nudge. Our social team created a Facebook Custom Audience based on traffic that visited the same URL we mentioned above. The result of this audience creation was finding over 3k Facebook users who had visited the Littlewoods Ireland website and not converted - Facebook users who had already expressed interest in what we were trying to sell - a match made in digital marketing heaven. The results from our campaign show that users are spending an average of 38 seconds browsing through these Collection Ads. That’s 8 seconds above the account average. This is largely down to the hyper-relevance of the ad to the audience we were targeting. These results didn’t cost an arm and a leg either (as a side point, at Wolfgang Digital, we always recommend keeping all of your limbs inside the vehicle while operating heavy SEO machinery), which just goes to show that innovation doesn’t have to be costly, so long as you’re willing to spend some time digging through the free data which is available to you. Ultimately, this integrated approach yielded a ROAS of 29:1. In non-digital marketing terms, for every euro spent on advertising, we were earning another €29 - most people would probably take that offer. While those results are pretty darn nice in their own right, we’re planning on taking things even further with this one. A significant number of shoppers added items to their cart and didn’t complete the purchase, but they’re not getting away that easily... We can add these ‘nearly shoppers’ to another audience and remarket to them using Facebook Dynamic Product Ads; all of this being based on their initial Google Search result. Never miss a chance to gather legitimate and useful data through free services like Google Search Console. Also, don’t forget that you’ve done this and actually use the data to make decisions (you’d be amazed how often people download potentially useful data, only to leave it to rot like some form of festering carcass, not realising that there’s still plenty of fresh meat on dem bones!). Finally, look to your colleagues and other departments. Share information like this with each other and get more creative about how and who you’re targeting. Just make sure you keep it all nice and GDPR compliant! We've also shown how you can integrate search and social articles. Watch this quick video to learn how.